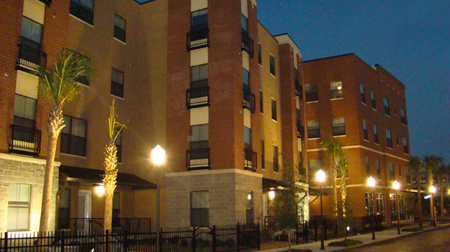 The Apartment Association of Greater New Orleans (AAGNO) has partnered with the National Apartment Association Education Institute (NAAEI) and CallSource to launch a universal online-based Learning Management System (LMS) that will be utilized across all NAA affiliates. Upon completion, you will be able to print a certificate. Each online course is worth one (1) Continuing Education Credit (CEC) and is available to you in both Spanish and English. Thinking about taking a class, but you're not sure what it all entails? Please click here to get a better idea of the online process that AAGNO and CallSource provide. You will see everything from setting up your profile to actually taking a course. After you go through the tutorial, return to this page to sign up today! If you have recently completed an on-line course, we would like to know about your experience. Click here to take survey. Are you ready to start your online education? Please register by filling out the form to create your login and launch you into your person profile. Select Your Company ***AAGNO Guest User/Non Member *** 1st Lake Properties 200 Carondelet Angele Apartments Apartment Association Greater New Orleans Apartment Homes by Tonti Apartment Management Corp Astor Companies BG&G Investors Baywood\Cedarwood Apts CLK Multi Family Mgmt Camelback Company Columbia Residential Creekwood\Tonti Forestwood Apartments GMA Properties Golemi Greater Lakeside Feil Greystar HRI HSI Management Herman & Kittle Lake Terrace Apartments Latter & Blum Longstreet Maselli Properties Medve Group Meridien Property Mgmt Multifamily Management Multifamily Missions Management NDC Real Estate PMR Companies Phoenix Properties Privateer Place Regent Management Revenue\Morguard River Oaks Management Summerfield Apartments Swan Apartments The Lane Company The Willows Toledano Properties Vintage Realty Willowbrook Apartments Woodward Interest Inc. If you are already registered and have a username and password, please enter your login. Your username is your email address and your password is what you selected during the initial self-registration process. ***Note: Username is the email address and password you selected during the initial self-registration process. Please contact universitysupport@callsource.com if you need assistance.